With the kick-off of the 116th Congress on January 3, 2019 and a Democratic-controlled House, legislation is introduced to expand Social Security, ensuring the promise of retirement security for more than 222,000 Rhode Islanders. It would also provide protections to disabled Rhode Island workers and families who have lost a breadwinner. Democratic Policy and Communications Committee (DPCC) Chair David N. Cicilline (D-RI) and Congressman John Larson (CT-01) introduced, with over 200 House Democrats cosponsrs, the Social Security 2100 Act today, with to ensure the retirement security of working people for another century. The legislation only requires the vote of 218 lawmakers to pass the House. The legislation to expand and protect Social Security for America’s retirees was first introduced in 2014, but languished under GOP control of the House. “Social Security is a promise that after a lifetime of hard work, you should be able to retire with dignity and economic security. 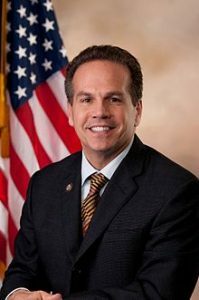 It’s critical that Congress preserve and strengthen this promise for years to come,” said Cicilline.,said in a January 30th statement announcing the bill’s introduction. “I’m proud to be working with Congressman Larson on this bill and fighting to ensure a secure retirement for working Rhode Islanders,” said the Rhode Island congressman, representing the 1st Congressional District. The Social Security 2100 Act, H.R. 860, provides an across-the-board benefit increase for current and new beneficiaries. It also calls for an improved cost-of-living adjustment (COLA) that takes into account the true costs incurred by seniors and a stronger minimum benefit, so someone who works their whole life does not retire into poverty. Finally, 12 million Social Security recipients will receive a tax cut through the eliminating the tax on their benefits. “Today, over 200 Members of Congress came together on the anniversary of President Franklin Delano Roosevelt’s birth to honor his legacy, and to enhance and expand the nation’s most successful insurance program, Social Security, which touches the lives of every American. With 10,000 baby boomers becoming eligible for Social Security every day, the time to act is now. The Social Security 2100 Act will provide economic security not just for today’s seniors but for future generations too,” said Larson, as the bill was thrown into the legislative hopper. According to Larson, who is chairman of the House Ways and Means Subcommittee on Social Security, there have not been any significant adjustments to Social Security since 1983, when Tip O’Neill was Speaker and Ronald Reagan was President. “It’s time for Congress and the President to come together again, just like Speaker O’Neill and President Reagan did to make this a reality, he said. “President Trump was the only Republican during the 2016 Presidential campaign who stood up and said he wasn’t going to cut Social Security. The time to expand Social Security is now. Let’s create an actual solution for millions of Americans and get something done,” adds Larson.